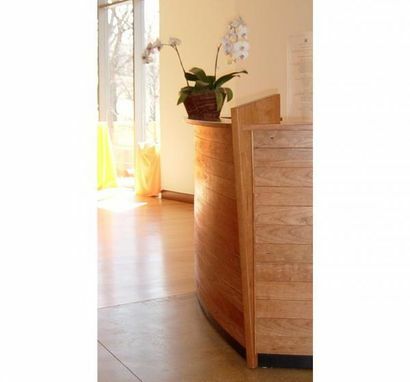 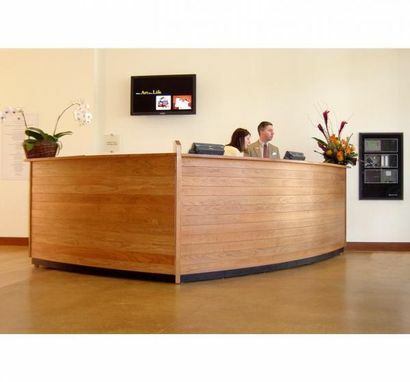 Reception desk crafted for the lobby of the New Britain Museum of American Art in Connecticut. The desk has a large desk area that enables three employees to handle the flow of visitors; built in storage, drawer and filing spaces. 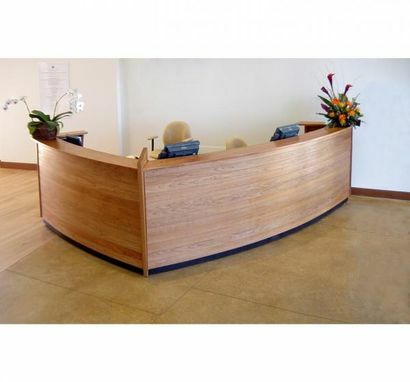 Dimensions: Total length is 20 linear ft.